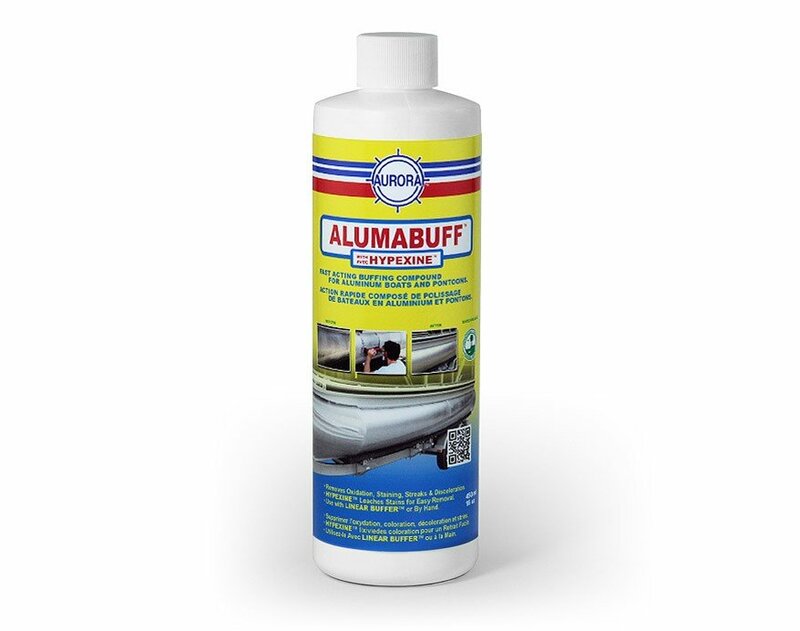 Nauticus ALUMABUFF | Peninsula Marine Ltd.
ALUMABUFF is the easiest and fastest way to clean aluminum of the stains, streaks and white cloudthat plague pontoon boats. It’s water based and free rinsing so the restored surface is ready for a protective coating like ALUMETRON™, without the necessity of removing residual wax, silicone or oil. It can be used by hand or with a LINEAR BUFFER™ (Recommended) to save time and labour.